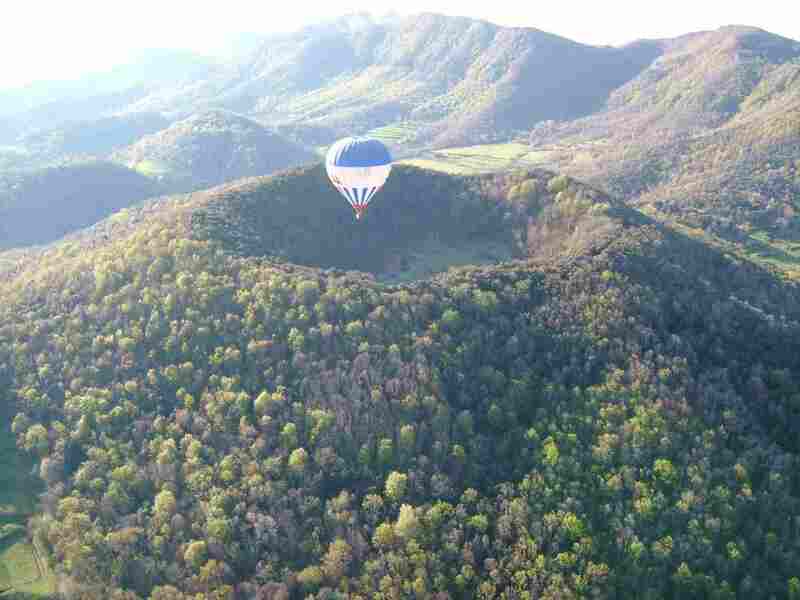 A balloon flight over the Natural Park of the Volcanic Area is an unforgettable and amazing experience. It’s one of the most interesting dormant volcanic areas of Europe . Discovering the volcanoes at bird’s eyes view up to 1000 meter high! Floating in the air, travel in silence along the invisible pathways of the wind, to the sounds of nature. On clear days you will see the Mediterranean sea and the Montserrat mountain range, followed by the Catalan Pyrenees as a backround. 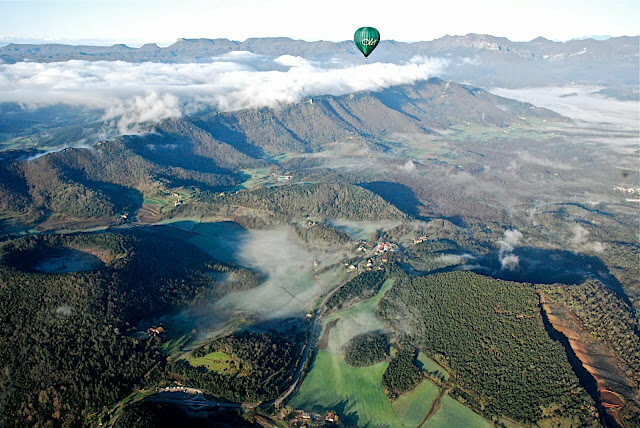 The day starts at the PaddleinSpain Centre Group – located in the beautiful village of Santa Pau (Olot – Girona) – This place is located only one hour and 20 minutes drive distance from Barcelona City. You will be welcoming for your pilot and crew and sign yourself in. 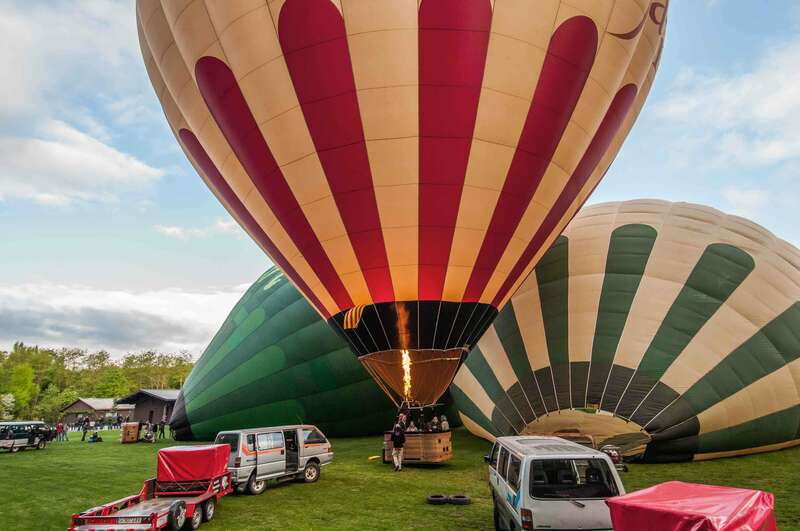 There will be a short flight safety briefing and then help to prepare inflate the balloon, once all final checks have been completed you will be invited to get into the basked and prepare for taking off. We have our own launch field close to the Volcano Croscat. The passengers have the opportunity to take a coffee during the preparation of the flight: the setting and inflation of the balloon. 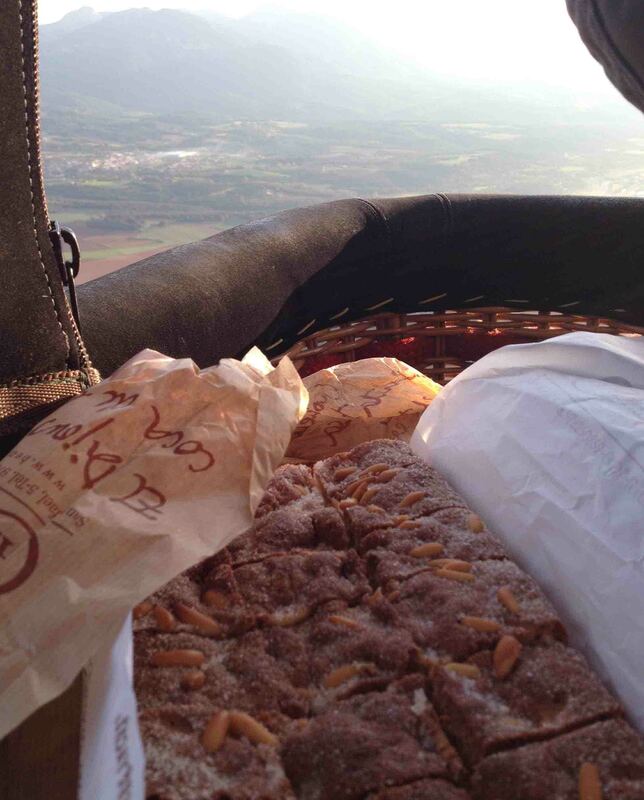 The flight usually lasts between 1 hour and 1 hour 30 minutes, during the trip cava toast and crackling local pancake is served. It’s time to take photos with a panoramic view of 360 º around you. The landing marks the end of our flight. The “chase crew” comes to collect the balloon and the passengers. 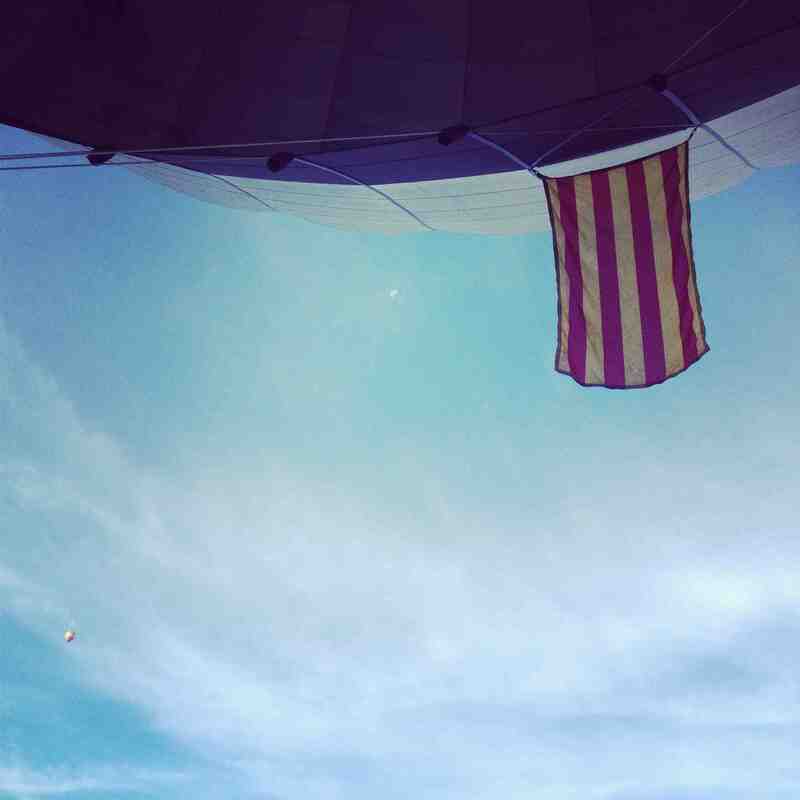 Then we all come back to our facilities, unique and exclusive for the passengers, and we celebrate the balloon adventure with a brunch consisting of roasted sausage and beans from Santa Pau, and bread with tomato spread on top served with an assortment of cured sausages, wine and a glass of Ratafia, a typical liquor from la Garrotxa. Then passengers receive a first flight certificate. Our Baskets are fitted with doors, making them ideal for elderly passengers and people with reduced mobility, while they are also adapted for wheelchair access. Pregnant are not allowed to fly. This activity is very weather dependent. There must be speeds of less than 10mph, reasonalbe visibility and no rain or snow. If the weather is unsiutable for whatever reason, you will simply need to reebook for another convenience day. Brunch included after the flight: bread with tomato and cold cuts sausages, beans and roasted sausage, wine, a glass of Ratafía (tipical liquor) coffes and deserts. No special clothing is reuqired on this activity however we recommend you ordinary outdoor clothes suitable for the time of year.